I am so in love with circle skirts lately..full circle skirts in particular.. I have been all over Pinterest looking for sewing inspiration for my April project. I want to experiment with muslin and make a really full circle skirt. Here is my favorite so far. I believe this one is 2 full circle skirts drafted with half the waist measurement to achieve this amount of fullness. It might even have some box pleats added into it. You could also accomplish this look by using Mccalls 7022, although you might have to add box pleats to the pattern. I’ll know more once I have created a mockup..
And this one in tulle is simply adorable. This is a full circle skirt with a tailored waistband..Check out the tutorial at the end of the post to see how to attach a tailored waist band to a skirt.. If you want to learn about drafting and sewing circle skirts, see more below.. 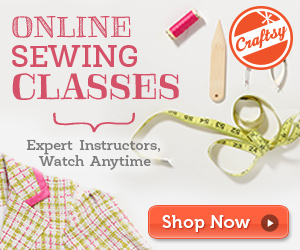 I hope this inspired you to sew! Let me know what you think about circle skirts. I wasn’t a big fan of these when I started sewing.. but now I am totally in love. They are one of the easiest to draft and sew and if you have a go to pattern, you can quickly whip one up in a few hours. I am also thinking of making one in denim soon! See you with my next sewing project and happy sewing until then!